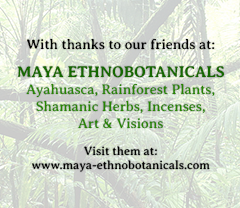 However, when used in Amazonian herbalist traditions that deal with the more powerful and often reality-altering and visionary varieties of plants known as plantas maestras or teacher-plants, the word comes to mean much more than that. It then describes dietary and behavioral regimens that allow one to move most safely and effectively into working relationships with such plants. These relationships can bring about profound transformations, and the dietas are designed to best facilitate them. The dietas originated as a plant-based practice for developing attunement to the currents of spirit that underlie the material world. Traditionally, this has been applied to such skills as hunting, divination, ancestral consultations, healing, leadership, and so on. The dietas are part of broader systems of human-plant relationships (food taboos, garden magic, and so on) that characterize many of the indigenous people of Amazonia. 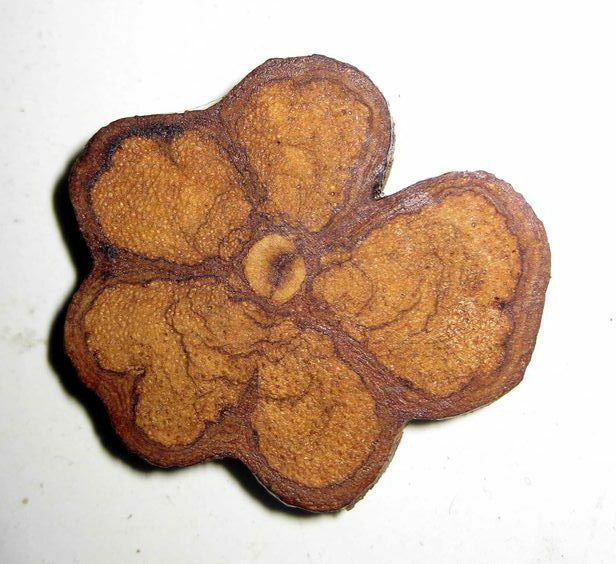 As the Amazon basin is populated by a high concentration of plants whose chemical behaviors are complex and ‘active’ enough to be used medicinally, and humans have been interacting with them for 1000’s of years, the dieta tradition is well developed. An individual undergoing a dieta retreats into isolation for a period of time (from days to months or even years) during which s/he is fed a ritually prepared and symbolically significant diet of foods such as plantain, manioc (cassava), and certain fish and jungle animals. In modern times this list often includes rice, quinoa, oatmeal, and chicken. Sugar, salt, chilies, certain meats (especially pork), acidic fruits, fermented foods, alcohol, and stimulants are avoided, as well as excessive exposure to sun, rain, fire, and unpleasant smells. Social interactions that involve ill individuals, sexual activity, and speaking of outside concerns, are likewise eschewed. In this way the dietas loosen the hold of human cultural traits – the understanding being that by doing so humans are more open to guidance and power from the natural world. In addition, its ritualized structure values and inspires self-discipline. Such traits are shared with vision quests, and the dietas can be approached in this way. When one undergoes a dieta the focus is often on a particular plant best suited to the needs of the individual. “The chosen plant depends upon the personality structure of the patient and the goals of the therapists: some plants are indicated for connecting with emotions and childhood memories, others to strengthen a proper attitude, still others to break some resistances” (Mabit et al 1996). Such plants can include bobinsana/Calliandra angustifolia; toe/Brugmansia sp. ; chiric sanango/Brunsfelsia sp. ; oje/Ficus anthelmintica; tangarana/Triplaris sp., and the “king of brews,” aya-huasca/Banisteriopsis Caapi, along with its usual admixture chacruna/Psychotria viridis. According to Schultes and Winkelman (1996), “Diet is viewed as a tool helping to maintain the altered state of consciousness (ASC) which permits the plant teacher to instruct, provide knowledge, and enable the initiate to acquire power. The diet is viewed as a means of making the mind operate differently, providing access to wisdom and lucid dreams. These regimens provide strength . . . .” In Luna’s studies of aya-huasca shamanism in Peru, he likewise says that the “necessity of diet — which includes sexual segregation — to learn from the plants was stressed by every vegetalista I met” (1991). In this way a rain forest can be understood as a kind of “city,” a cosmopolitan center of terrestrial life. It is a gathering place of diverse life forms with high population density and a limited resource base. Its inhabitants traffic in fertility and vitality, and there exists a sophisticated culture to work the philosophies of reciprocity, the art forms of diversity, and the languages of interspecies dialogue, all necessary to maintain a fine-tuned ecological balance. .Of this we are best cured by a thorough re-indigenization, a re-membering and active practicing of co-creative relationships with the tribes of creation. What we call medicinal plants are among the primary agents by which erring humans are brought back into the ecosystemic fold. They can help bring our own disordered ecologies of body, mind, will, emotions, and social relations into entrainment with their own internal ecologies (their constituents or energetic architecture), which resonate with successively larger and more organized eco-systems. Plants can thereby pull us into harmonic relations with the metabolic functionings of the planet. The planet thereby teaches via the conditions of its healthy functioning. This dharma upwells through the plants and into the understandings and practices of those who are “listening.” It has inspired and guided the world’s great herbalist traditions. Herbalism in its most perennial forms has internalized this dharma and applied it to the microcosm of the human body to understand states of well-being and to treat illness. 1. The importance of dialogue (responsive communication) between all beings. This includes cross-species and cross-dimensional communications between inhabitants of the “horizontal” world of physical existence and “vertical” world of spirit. A further challenge is that during a dieta ones understandings become primarily felt. The greater the problems revealed, the more one must open to feel them. One must thaw the feeling body to feel pain to its core. Only by feeling pain to its depths does one acknowledge it, know it, transmute it, and release it, simultaneously freeing oneself. The more expansive the sense of the self, the more pervasive the feeling, the more one’s Spirit is enlivened, and the greater the healing. A visionary perspective on this is that the earth is raising its spiritual vibration as a way to transition itself out of the current crisis. This is another way of saying that the earth is sending out strong intentions to heal, a Gaian version of prayer. As the earth moves through this change it simultaneously brings along and is brought along by those humans sensitive to this rising wave, attracted to this swelling invigoration. There are those who persist in feeding off dwindling energy from a dying era with contracted vehicles conditioned, i.e. normalized to limited conductivity. And there are those that are recognizing a higher frequency of “juice,” of life force, of info-energy, of understandings – and are doing their best to reconfigure themselves to accommodate it; to run it, work it, and become it. A new human operating system is forming, and this is what catalyzes the changes, the “roll-over” effect. This energy has to maximize and manifest itself through human one at a time, to then snowball thru the human collective. The biggest blocks to this happening is the feeling narcosis and culture of fear, denial, and avoidance still strongly remnant on the planet. This is the paradox of healing revealed by the plants. Only by facing fear is one released from its stranglehold. Only by dying is one freed from the fear of dying, and only then can one be fully alive. It may mean a head-on collision with oneself, but out of the wreckage will appear the glimmers of the soul glyph, designs of one’s original incarnational purposes. This is why dietas are a lot of work and not necessarily “fun”. Healing can be smooth or messy (usually both); this simply reflects the reality of what is being addressed. In a medicine circle, all that is authentic is redeemed and ultimately appreciated. The benefits in engaging this process include a purified, strengthened, and renewed spiritual self. From spirit comes the deepest source of well-being, a self-confidence arising from engagement with the real and the truthful. This is felt as a bliss beyond the usual pleasure-button pushing/pain avoidance strategies of hedonism, and certainly well beyond the Puritan denial of the body’s urge towards physical pleasure. It is a spiritual law that one gets what one pays for. The harder the work, the sweeter the ecstasy. The universe rewards courage (and punishes stupidity). The plants teach the evolution Game, and how to play it successfully. It is a wisdom of transfomation, a gift to humanity, and it is here for the asking. Hi – Great article – thanx. I came here to find out what would be the best dieta to better facilitate communication with the aya spirit. I know this information must be here somewhere but I can’t find it. Any advice? Thank you for the article. You have written with lots of love and clarity. such a beautiful, thoughtful, grounded, lively, prana-filled sharing of Plant Maestro wisdom. Hail to The Mother! Jai Maa!! Great article, Morgan! I’m dieting Ajo Sacha for 4 months and so far it’s been a difficult first month, especially living in the city. My usual distractions are not available to me and I have to cope with the urges as they come along, sometimes really strong and other times I can let them pass….like clouds infront of me. However, I accepted the challenge and made a pact with the plants and the goal is to heal myself and become a better functioning human being! Blessings….. I enjoyed reading your article Morgan! You are quite articulate and I really appreciated sharing your work. We as a collective society need to resonate with the frequency of the earth. It’s like the natives and hopis have said, “if we are not spiritually connected to the earth, than chances are we probably won’t survive.” This being of course if a major disaster, weather, meteor were to collide with the earth, nuclear warfare, or any major disaster were to occur. This truly was a brilliant article. Such a superb article–which also ties in the larger picture of the poignant reality we as a planet are now facing. It brings past, present and future into a oneness that is so deeply necessary to evolve from the separation of time, space and our very Selves–into a shift back to Source. I feel very blessed to be organizing such a dieta this summer, and cherish this work as the backbone of my spiritual transformation. Thank you Morgan for sharing this wisdom. I have read many books on the subject and have never heard it better. How did you get along with the Ajo Sacha? Taking substances has no relation to white magic. It then describes dietary and behavioral regimens that allow one to move most safely and effectively into working relationships with such plants. These regimens provide strength . To understand plants as capable of communicating the conditions by which we can best relate to them is a . Such an awareness is available to anyone who walks the ways of the earth. One then reaches into the nourishing groundwaters of Spirit. Natural ecosystems are then understood to be the surface manifestations of an underlying culture of spiritual relations. It is a gathering place of diverse life forms with high population density and a limited resource base. Plants can thereby pull us into harmonic relations with the metabolic functionings of the planet. The planet thereby teaches via the conditions of its healthy functioning. Both are necessary for any organism to grow and maintain itself. For purposes of utility this can be a useful distinction. The knowledge that runs this story is now growing like mycelium through the cultural deadwood of the colonizers. These understandings demand action. One must thaw the feeling body to feel pain to its core. normalized to limited conductivity. Only by facing fear is one released from its stranglehold. It is a spiritual law that one gets what one pays for. I came here to find out what would be the best dieta to better facilitate communication with the aya spirit. You have written with lots of love and clarity. We as a collective society need to resonate with the frequency of the earth. This truly was a brilliant article. Thank you Morgan for sharing this wisdom. I have read many books on the subject and have never heard it better. Comments with commercial intent are also not accepted. Please request permission before reproducing any contents of this website.Hope you like my post on google today. gratitude and blessings for your clarity and wisdom. I only wish there was a site that had recipes for the Dieta.